information go to www.lascolinas.org and click RESIDENTIAL RESOURCES drop down file. Please note: The University Hills Association of Homeowners is a voluntary organization established for the promotion of the University Hills neighborhood. Las Colinas Association is the mandatory association that all businesses and neighborhoods in the Las Colinas master planned community must belong to. *The information contained in this site is provided for informational purposes only, and should not be construed as legal advice on any subject matter. You should not act or refrain from acting on the basis of any content included in this site without seeking legal or other professional advice. ...... We welcome your suggestions. Please Use Contact Form below to submit your question or comments. ...... All suggestions will be reviewed and brought to the board. We encouraged your input to help improve our association. ...... As always, there is a need for volunteers to help with existing activities and to create new ones. ...... or your Block Captain know of your availability. ...... Due to the amount of email we will be unable to respond to every email. Everone is welcome to attend board meetings. Your voluntary dues make it possible to provide the events, awards and recognitions that strengthen our community. $100 - Gold All Silver benefits, plus: Two meals at the UH Annual Fall Meeting & Dinner (Value of $70). $150 - Platinum All Gold benefits, plus: Recognition as an Event sponsor for the Annual Meeting. Automatic entry to all UH Door Prize drawings (Platinum members do not need to be present to win). 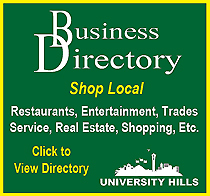 A coupon book from area businesses with over $100 in savings. ...Your dues make it possible to hold the events that strengthen and bring together our community.